Sometimes we forget just how beautiful Africa or more specifically Kenya is. We forget the nature, the color and the warmth that exudes from our countries in Africa. There is more to Africa than just dusty villages, barefoot children and grazing animals. Kenya is also exotic, modern and comparable to other modern countries around the world. 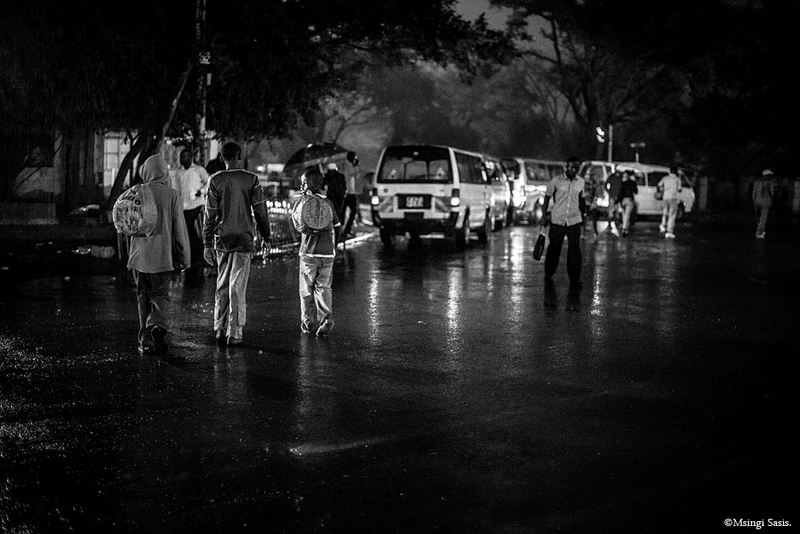 Nairobi Noir is an illustration of a Nairobi that is mystical, modern and almost cinematic. 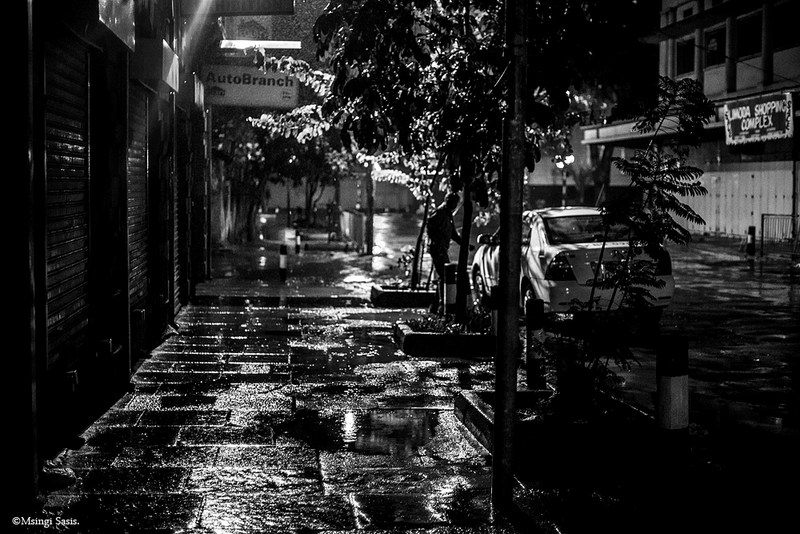 Through photographs of Nairobi City at night, Msingi Sasis the mastermind behind Nairobi Noir, offers people another side of Nairobi city that is rarely, if ever shown. 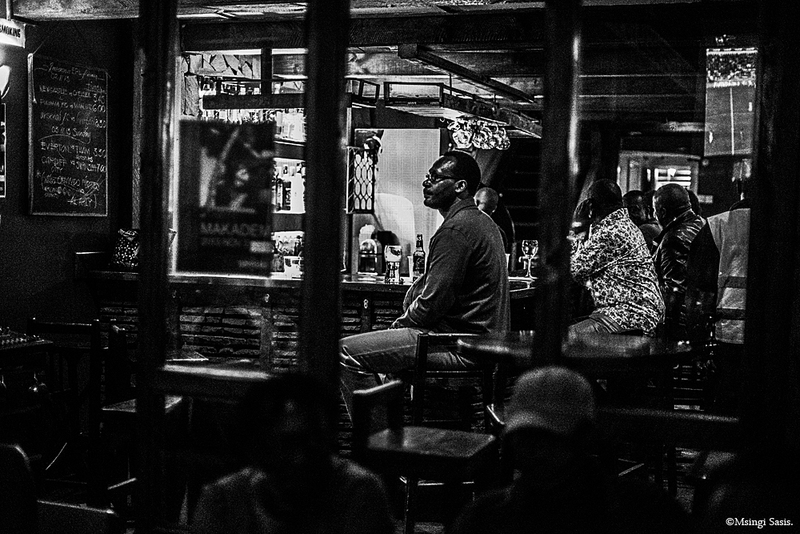 There is a sense of universality in Sasi’s photographs of Nairobi at night, showing the paved streets, tall buildings, cars and people in western attires. 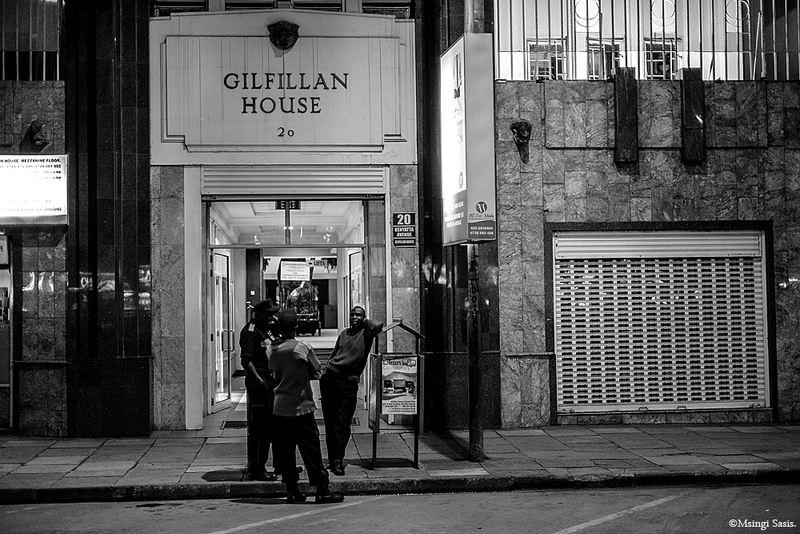 Nairobi Noir is a breath of fresh air, for once not focusing on the slums, the hungry or the ‘traditional’ African. Quite frankly, the pictures could easily be of a city in Seoul, Amsterdam or London. 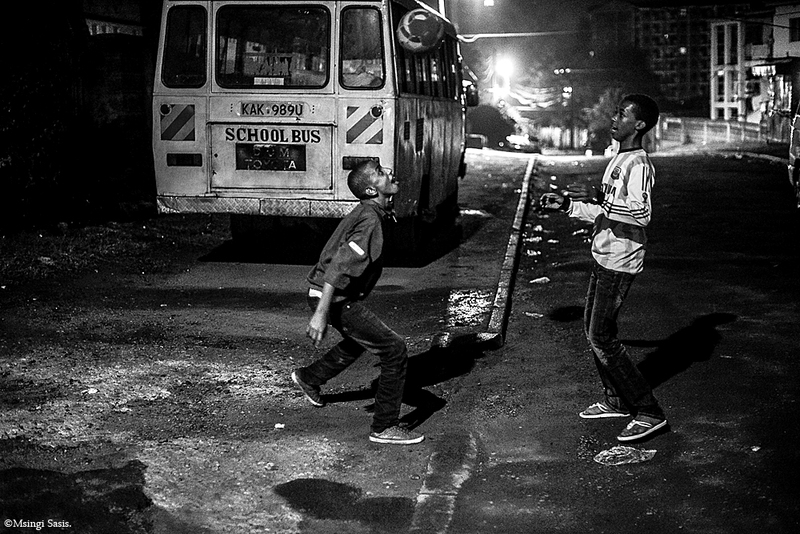 Nairobi Noir started off simply as a hobby for Kenyan photographer Msingi Sasis. 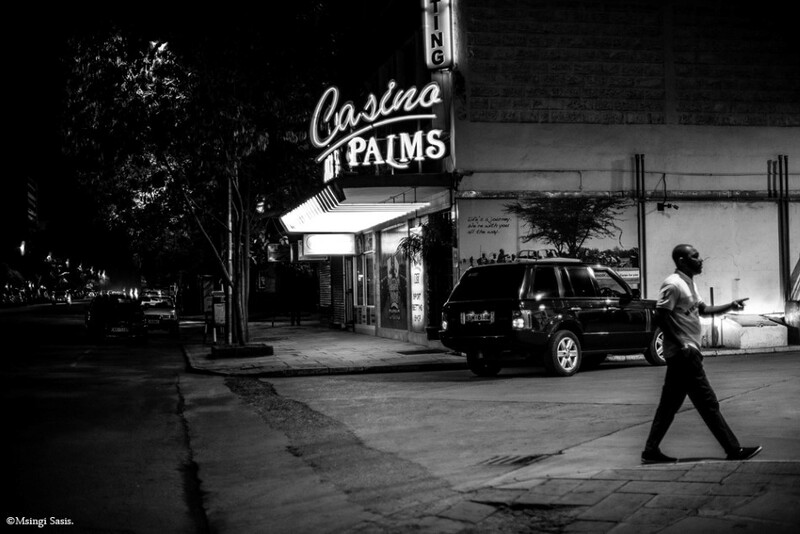 While he was working as event photographer on his one assignment he would find himself taking photos as he left the event’s venue. 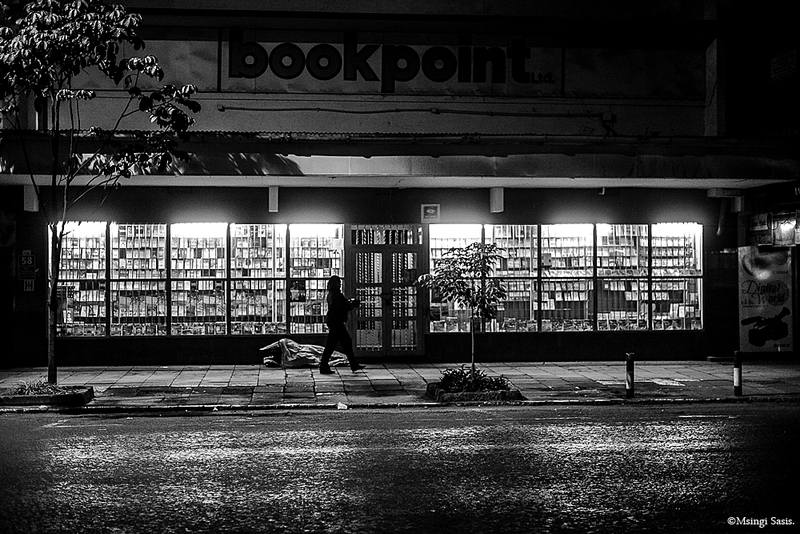 As the number of his night photos increased, he started sharing them on Facebook and eventually they gained popularity and Nairobi Noir was born. 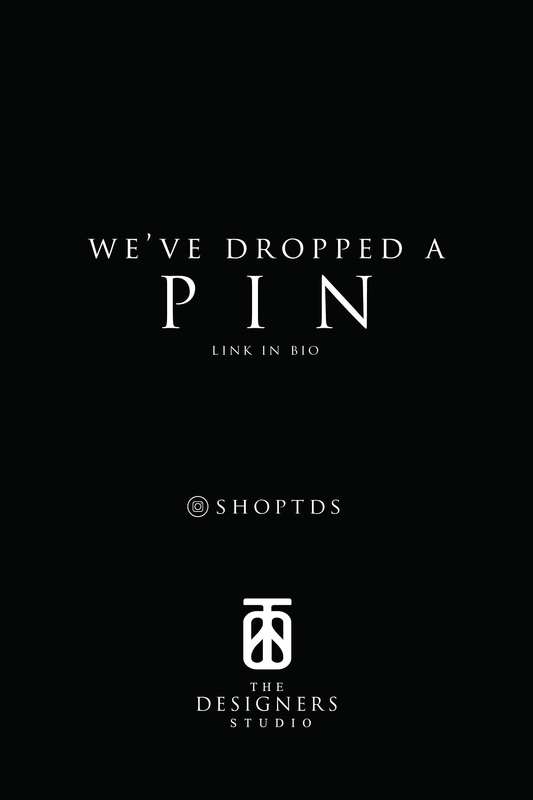 Currently, Nairobi Noir can be found on Facebook, Instagram and Twitter. 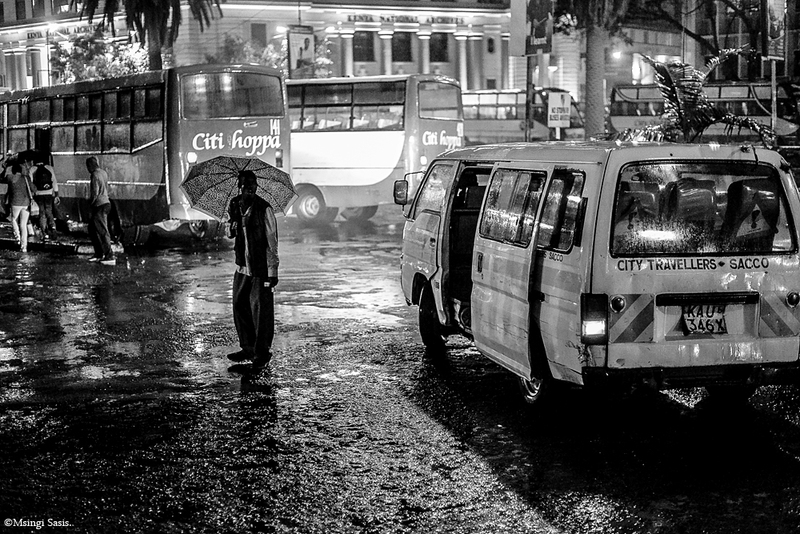 Bearing some resemblance to projects such as Humans of New York, Msingi uses human subjects to capture certain aspects of Nairobi City. 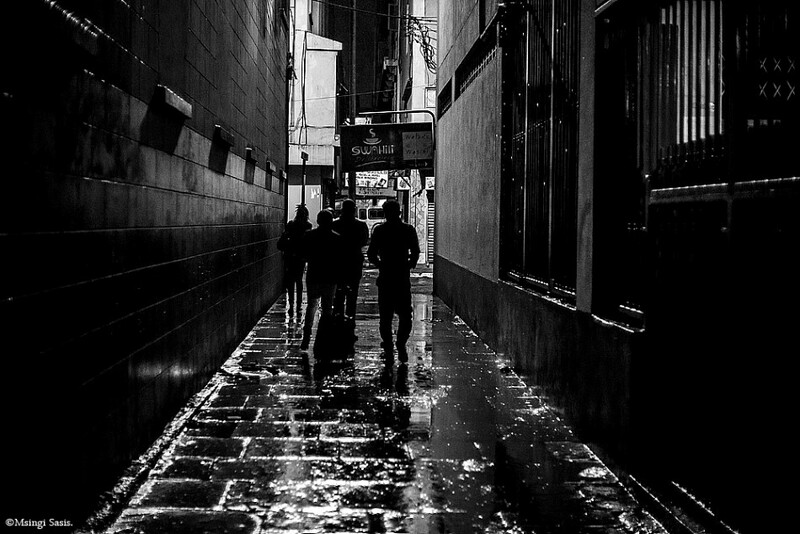 Most of his photos are in black and white and are mostly taken on deserted streets. 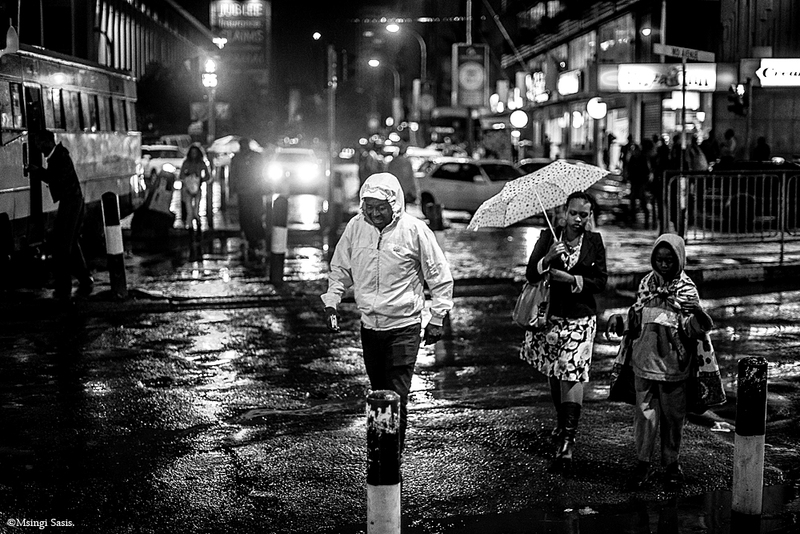 However, it is more than just the people, Msingi’s pictures represent different aspects of the city life in Nairobi. 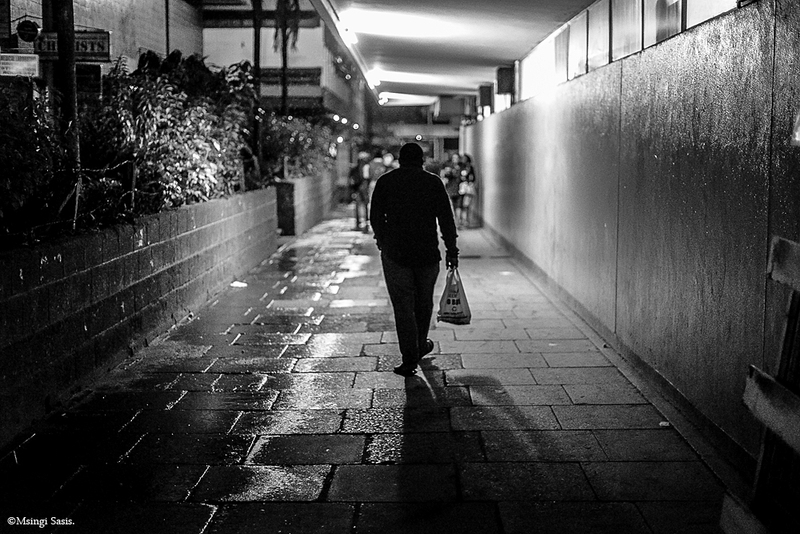 Nairobi Noir is an outstanding and commendable project; it not only shows off Msingi’s superior photography skills but also reminds Kenyans of the beauty of Nairobi City. 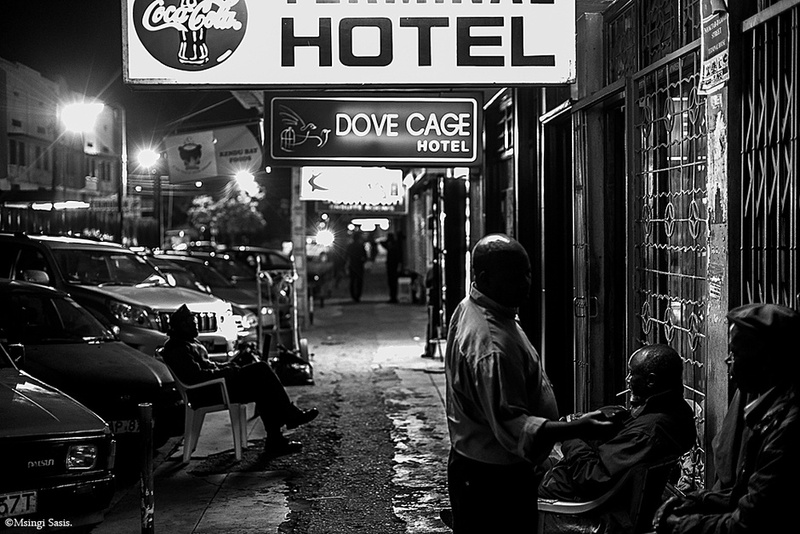 It is easy to forget just how modern and exotic our cities are, especially in Africa and Nairobi Noir reminds us of just that.